Back when I was a Biology teacher one of my favourite lessons was to teach food chains, it gave us a really great opportunity to look at how the different animals in an environment work together and interact. I find it interesting that throughout the UK curriculum from year 2 food chains is a topic that appears regularly. 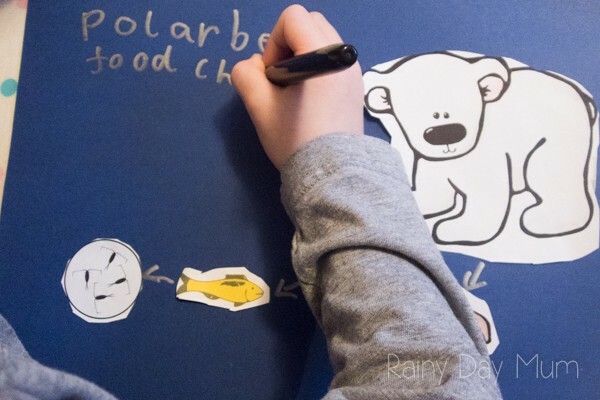 With this week’s theme for early elementary bloggers being Polar Animals and following on from the sharing activity we did yesterday with my youngest it seemed an ideal time to introduce food chains and look at the polar bear food chain. Can explain a simple food chain. Can name some different sources of food for animals. We have included affiliate links to products and resources we recommend. If you purchase through these links we may earn a small commission on the sale. 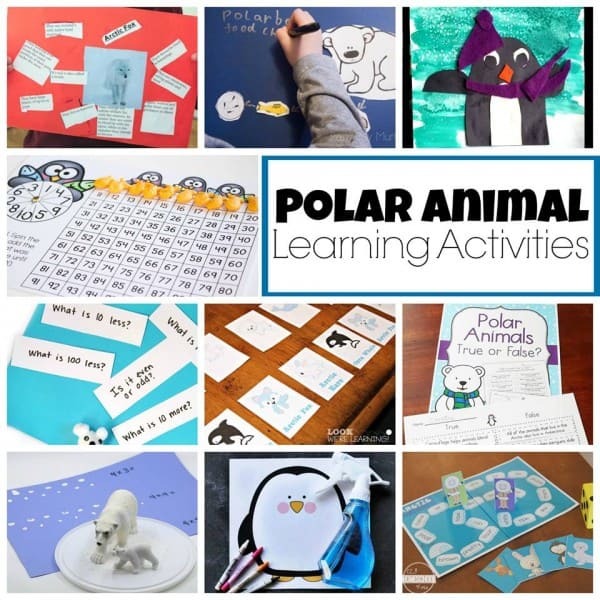 Polar Habitat Food Chain – Join our Hands-on Learning Newsletter and get this resource for FREE or you can purchase the set from our store. Ditch the worksheets and join us learning through hands-on activities, a weekly newsletter for parents, home educators and teachers sharing activities for learning without worksheets. 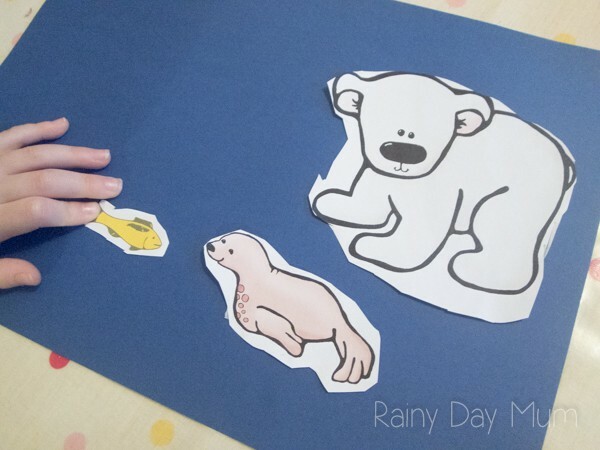 Learn without Worksheets and get your Polar Bear Food Chain! Start off by explaining that you are going to investigate what Polar Bears eat and where their energy comes from. Explain that you can discover it by producing a food chain to show what they eat, what eats their prey and right at the start what the producer of the energy is. 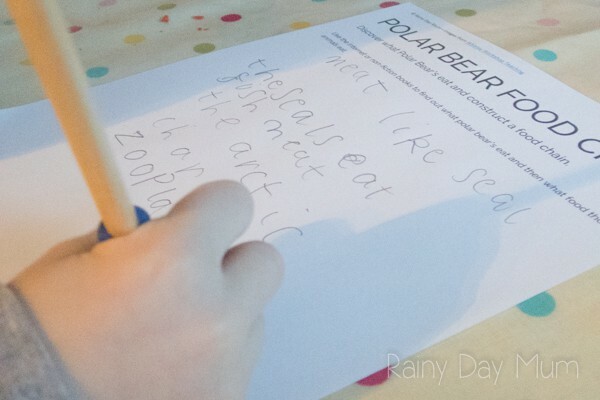 Polar Bears are a great example of a simple food chain that early elementary children can investigate they are charismatic creatures and often featured on nature programmes that they may watch or in books. So start off with what they know about what they eat. 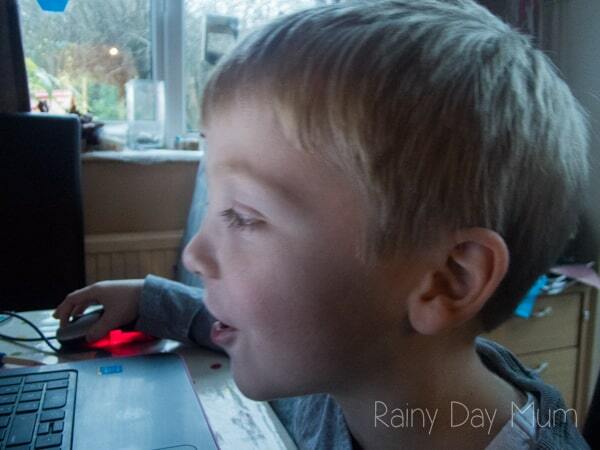 Our first was that they were carnivores because they had big teeth so they ate meat – what sort of meat seals was the easy part of my oldest, he’s fascinated by nature programmes and was even able to name a couple of species of seal that he knew polar bears ate – Weddle seals and harp seals. From there is became a little tricky – what did arctic seals eat? Over to the internet. I took this as an opportunity to steer him towards sites that will give information to him rather than images – he started off by going to google – and putting in what do seals eat and then clicking on images as a quick way to find out what they did eat. I moved away from the image tab to ALL and pointed him to the Wikipedia entry as a good source (for the elementary level it’s good as the information is easy to find and it’s reasonably accurate). We then looked for what they ate coming up with Arctic Char – which led us to finding out what Arctic Char ate and zooplankton which he hadn’t heard of before – so this time we used the image tab to discover what they looked like. It’s a good skill to teach children how to search on google effectively and when to use and not use the different tabs as well as filter out what sort of information is relevant. 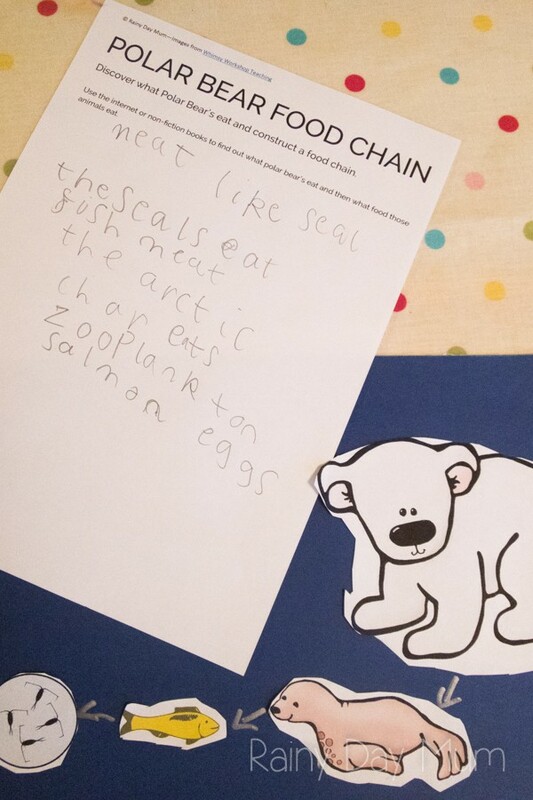 With our food chain from polar bear to plankton complete, we then sat and wrote some sentences – he decided that today would be a list format instead of full sentences which worked for this as recording his findings. Using the image sheet provided in the download we then cut out the animals and stuck them onto a display sheet to share our findings with arrows pointing toward who ate who. I am a big fan of the DK Eyewitness Books – we have many in our collection and the mix of images that my youngest loves to explore and ask questions about as well as the text which is comprehensive and will work through most of the primary school is perfect for a non-fiction book that will last a while. The DK Arctic and Antarctic Eyewitness Book is no exception to this and as it covers both natural and man-made history it will help with learning more about these unique habitats on our planet. 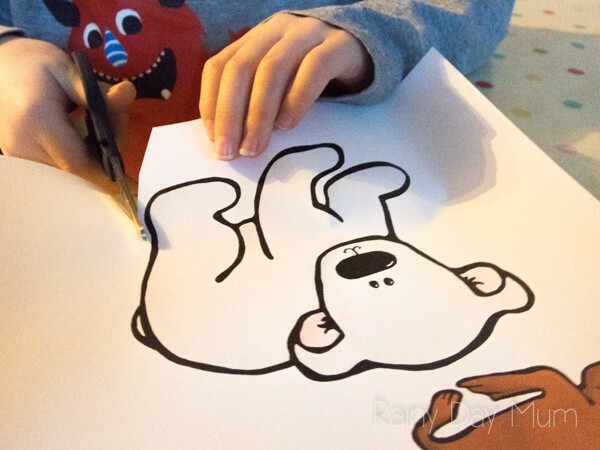 Something a little different for the kids to do that works on fine motor skills and makes some fun characters is this Polar Animal Origami Set which would be great to include some arts and crafts – once they have the idea of the folding could they then make their own base don the folds that they learn. There is so much history involved in the polar regions from the life of the Native Americans that have lived there for 1000’s of years to the explorers of the last few hundred years. This hands-on History book looks at the Native American people through crafts and activities. My kids would love this activity! Thanks for sharing! I love how your kiddos had to learn about the food chain before they built the collage!